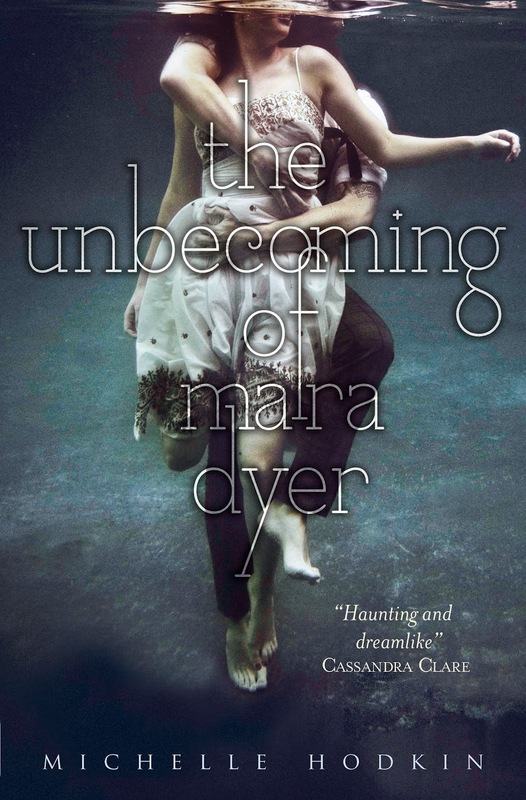 Mara Dyer wakes up in the hospital after a terrible terrible accident. She has no memory of how she got there, and since she is the only survivor, no one else knows what happened. In an effort for a new beginning, Mara starts up at a new school where she meets Noah Shaw. He’s cocky, he’s smart, he’s the most sought after guy on campus, and he annoys Mara to no end. But the accident has left Mara pretty messed up, and her PTSD is wreaking total havoc on her sanity. In short, Mara is majorly messed up. Somehow, she and Noah become friends, and it’s a good thing too. Because when things really start to get weird, having Noah around is keeping Mara for losing it for real. I feel like this book should be called “Meet Mara and Noah” because that’s basically what readers do for the entire book, save the last handful of chapters where things really pick up. Halfway through this book, I was like… “so… is this going anywhere? Or are we going to stay in this loop of creepy unexplained happenings?” As the book neared it’s ending I had the same thought again. Don’t get me wrong, I was never bored. There’s suspense in the set up, and reading about Noah and Mara’s relationship is definitely interesting, I guess I’m just used to each book in a series to feel a little more like an individual story than this one did. Basically you finish this book with a ton of huge questions and suspicions, no answers. Since I’m not quite sure what’s going on, I’m going to tentatively label this one as “magical realism”. Anyway, I suspect this is one where people love the SERIES as a whole, better than each individual book. Or one where you appreciate the individual books after you’ve read them all. Am I right? I’d love to hear some thoughts WITHOUT SPOILERS from people who have already read this. Nevertheless, I’m gripped, extremely curious, terrified, full of theories and lastly, in love with Noah. haha. I liked Mara a lot until the last two chapters where I realized maybe she is a nut job after all. haha. Cannot wait to read the next book and see where all this set up goes!